Will the e-commerce infrastructure you put in place early on be robust enough to help you tackle the business challenges ahead? When you’re moving quickly to test a business concept, you may opt for services that get you to market fastest – you can always iterate later. But when it comes to your online payment process, thinking ahead can put you in a stronger position when you hit these inevitable bumps in the e-commerce road: chargebacks, cart abandonment and scrambling to take advantage of international sales opportunities. You might have opted for the most expedient payment solution when launching your business, maybe using an intermediary to handle credit card processing. While that decision may have made sense at the time, it can leave you less able to dispute chargebacks. Besides rolling back sales revenue, chargebacks can cost you administrative fees, fines and higher processing rates. Ultimately, having too many chargebacks can put your merchant account at risk or make it difficult to open an account in the future. If you're handling payments through an intermediary, you likely skipped the merchant underwriting process that helps ensure you've got solid return, cancellation and refund policies posted on your site. Those take some time and attention to create, but you're going to need them when you're disputing a chargeback. You're better positioned to fend off chargebacks by working with a merchant services provider that thoroughly knows your industry. The right provider should help vet your customer policies and check whether they meet market standards. And because timing can be critical in fighting chargebacks, you want to work with a partner that notifies you right away and can connect you to 24/7 dispute resolution services. People abandon their online shopping carts for a lot of reasons, but two common situations can be the easiest to remedy: when customers want to use a payment method you don't offer, or when they find your checkout process cumbersome. To fix these issues, you have to be ready to accept payments in as many forms as you can imagine. Make sure you're working with a payment processor that can accept not only a broad range of credit and debit cards, but also electronic checks and PayPal. Also streamline your checkout process; it's especially important to let customers save their shipping and payment information for future transactions. 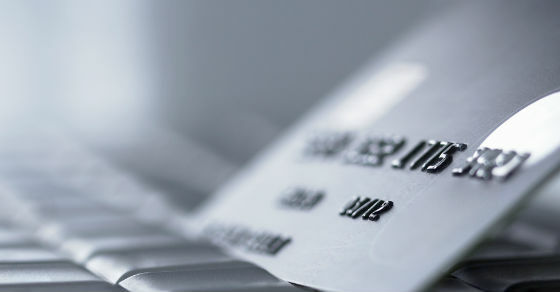 Working with a processor that has robust security and complies with the most up-to-date Payment Card Industry (PCI) standards will let you offer one-click purchasing with some assurance that you're not putting customer information at risk. "86 percent of tech-based startups reported some type of cross-border activity." Any company participating in the digital economy — and that's every e-commerce company — needs to be ready to seize business opportunities globally. In a McKinsey Global Institute survey, 86 percent of tech-based startups reported some type of cross-border activity. "Even the smallest enterprises can be born global," MGI says. Building your business on a payment platform that will let you go global is something to think about now — even if you're focused on local markets, global opportunities may come your way sooner than expected. Your ability to accept payments in other currencies or other countries is fundamental, and working with the right processing partner will help ensure that. Beyond simply handling foreign payments, you may find yourself working through issues such as whether to set up shop in a specific local market, local payment preferences, interchange, tax provisions, compliance and banking relationships. Your payment service provider should be on top of all wrinkles related to multinational payments. Find out about volume-based pricing for economies of scale and how you can score the most favorable transaction fees. Look for clear, easy-to-understand reports on global transactions and advanced fraud management tools. A fast-moving, "adapt-as-necessary" mentality is essential to growing companies. But when your payment infrastructure is robust early on, you're less likely to get sidetracked by chargebacks, lack of payment choice or an inability to make global sales. Instead, you can focus on optimizing your customer experience and the product offers that will keep your e-commerce business growing. Contact your SVB Global Treasury and Payments Advisor for more information about how our merchant services can help.